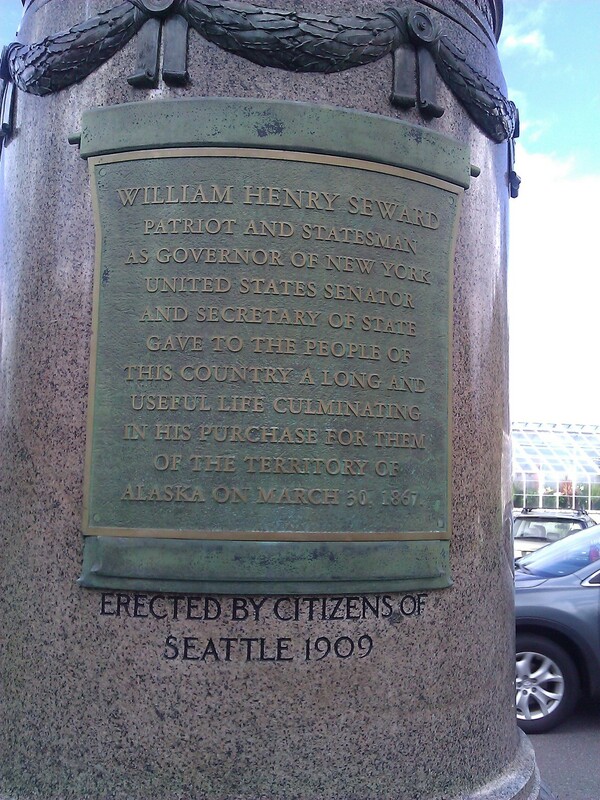 Seattle seems so geographically and culturally removed from the region of the US that is saturated in Civil War monuments and history. Yet, perhaps somewhat surprisingly, bits of this pivotal time for Americans turn up in Seattle–even just less than 10 blocks from where I live on Seattle’s Capitol Hill. William H. Seward–Lincoln’s Secretary of State–has quite a presence in the town with parks and streets named after him. 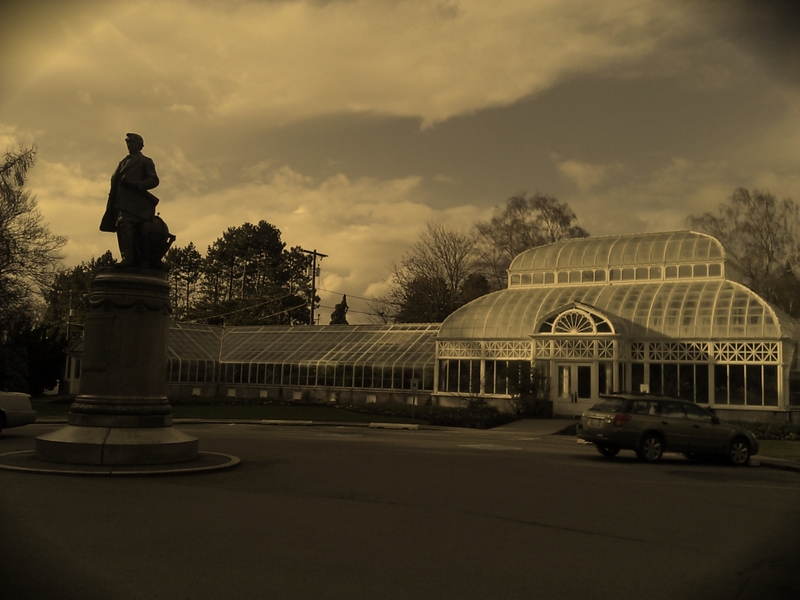 This statue stands in Volunteer Park and went up originally for the 1909 Alaska-Yukon Exposition. While arguably remembered more for Seward’s Folly, he was also the subject of an assassination attempt the same night as Lincoln. He was stabbed multiple times in bed by Lewis Powell just as Lincoln was fatally shot in the head across town at Ford’s Theater. The would-be assassin of Vice-President Johnson got drunk and cold feet and failed his portion of the mission. I think this plot–to take out the top three in line of Presidential Succession simultaneously and create unprecedented domestic fear and chaos–is definitely this nation’s greatest act of domestic terrorism. Although it certainly is not viewed in that light in my Feb/March Reading Project. 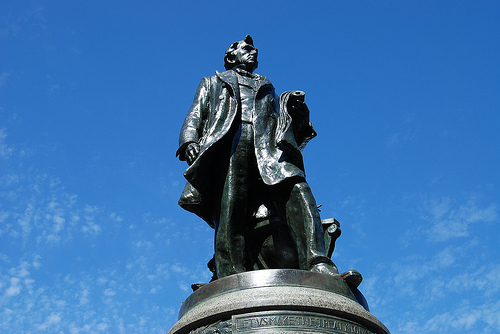 William H. Seward statue in Seattle’s Volunteer Park. Last week I was at the UW Health Sciences Building and stumbled across this display of actual Civil War medical instruments used in the battlefield. 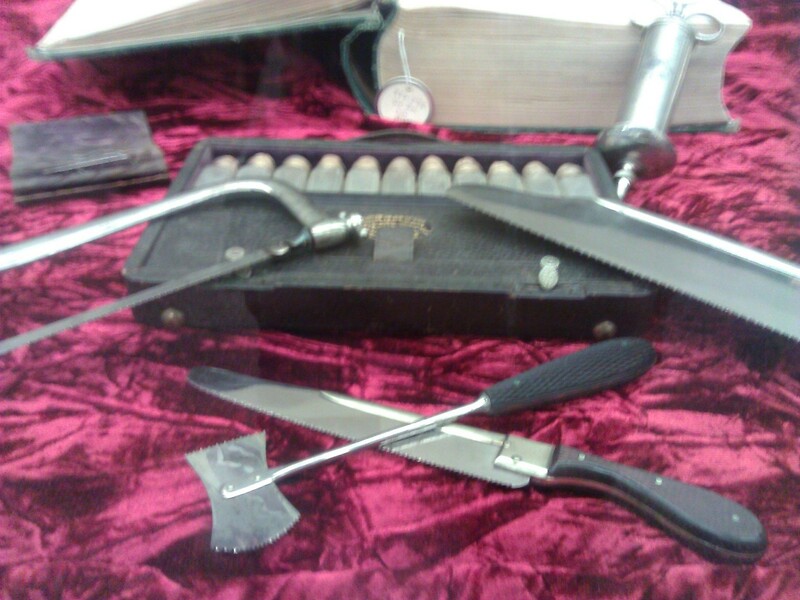 Featured were limb amputation saws. That last picture I took this past week is actually my favorite because it is so real and so personal. It shows how feelings about the Civil War and the USA’s past still have an organic relevance with people. 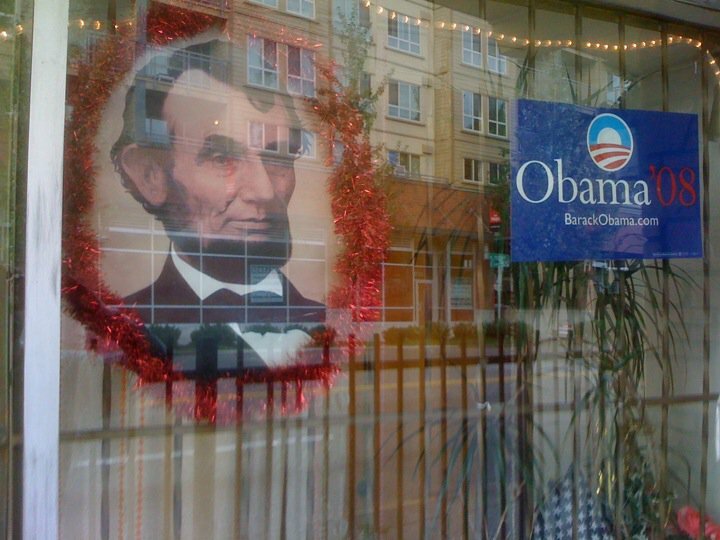 This display was in the window of a small mom & pop African-American hair salon.